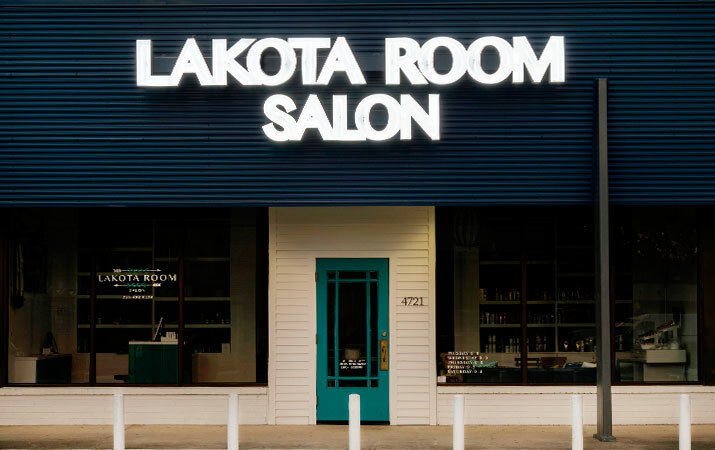 Inspired by the bungalow in which the business launched, GSMA’s design for the Lakota Room Salon melds the comfort of home with the salon’s eclectic, bohemian style. 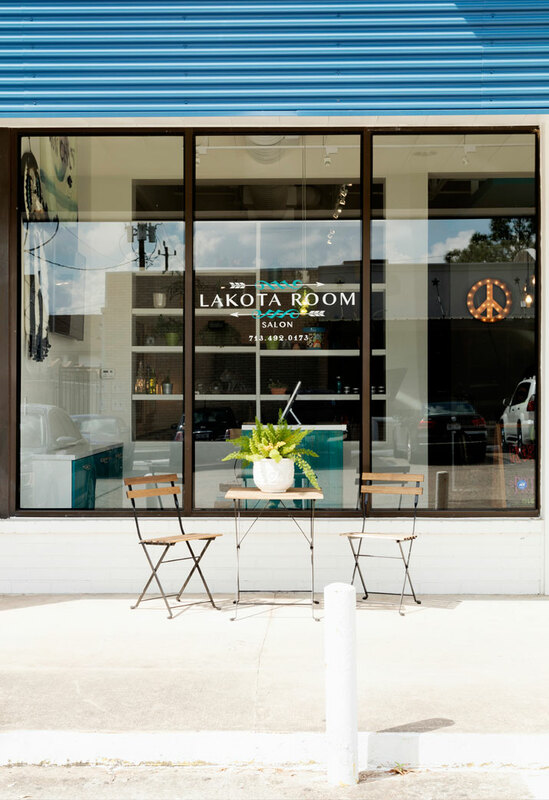 The storefront overtly references the owner’s bungalow, creating a welcoming introduction to Lakota Room’s brand. 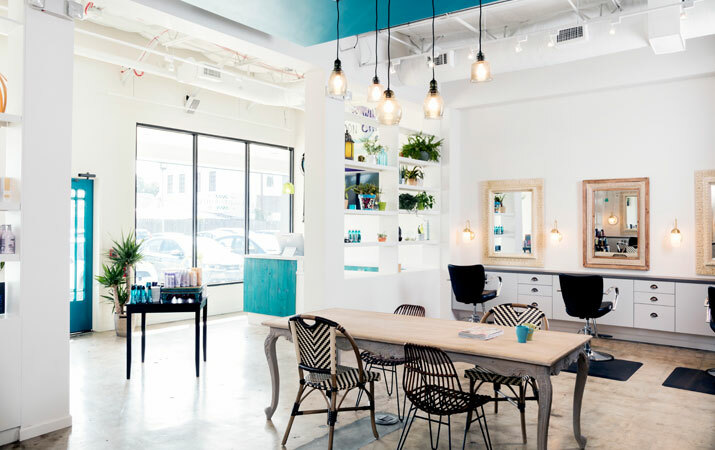 The salon’s design is centered around a large community table and bar that allow clients to make themselves feel at home before and during their services. 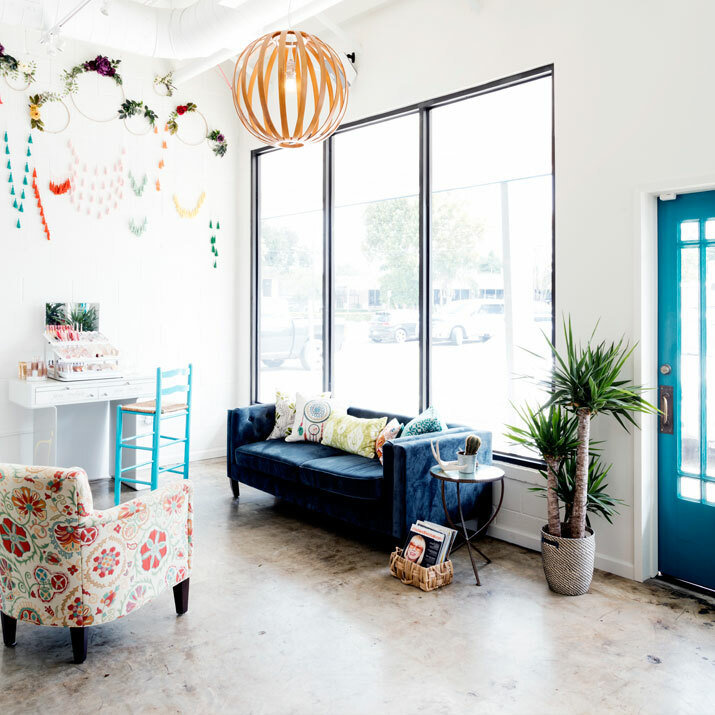 Natural light from the storefront reflects deep into the space. The open ceiling, soft white walls, and tall, framed openings make the compact space feel expansive. The concrete floors and shiplap bar surround keep the palette relaxed.